Multi-generational homes are becoming more the norm as more families choose to live together either due to the economy or just true love. Modern families need modern design solutions. Which is fine if you’re a couple with kids. But what if you are an older couple with kids in their 20’s living at home? That’s the reality for many families living in multi-generational homes. 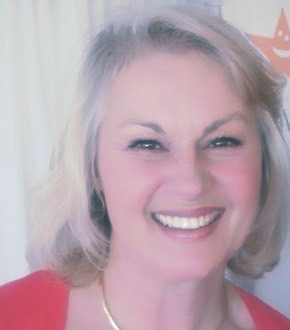 The over-65’s is the fastest growing age bracket in Australia. In addition, home ownership is beyond the reach of many young people due to barriers of entry – high median house prices. In fact, 60% of 20 – 29 year olds in Australia are still living at home with their parents. So rather than sacrificing individualism and privacy, the smart use of colour and paint can create unique spaces for a modern family. Taubmans Ambassador, Shaynna Blaze, says two or three generations living under the same roof can still use their own fave colours without the house becoming a kaleidoscope of colour. Here Shaynna provides four ideas for modern multi-generational homes. As bedroom doors are often closed, the colour scheme needn’t be cohesive with the rest of the home. It’s a place where individuality can rule. However, the key to continuity is to keep the flooring, ceiling, trims, skirting and architraves of all the bedrooms in the same materials and colours. Colour Scheme: Paint your trims a light colour, either a white or grey base such as Taubmans Thin Ice or Brilliant White. Paint the walls a simple extension of these colour such as Taubmans Metal Glow for a modern feel or Classified for a more traditional look. 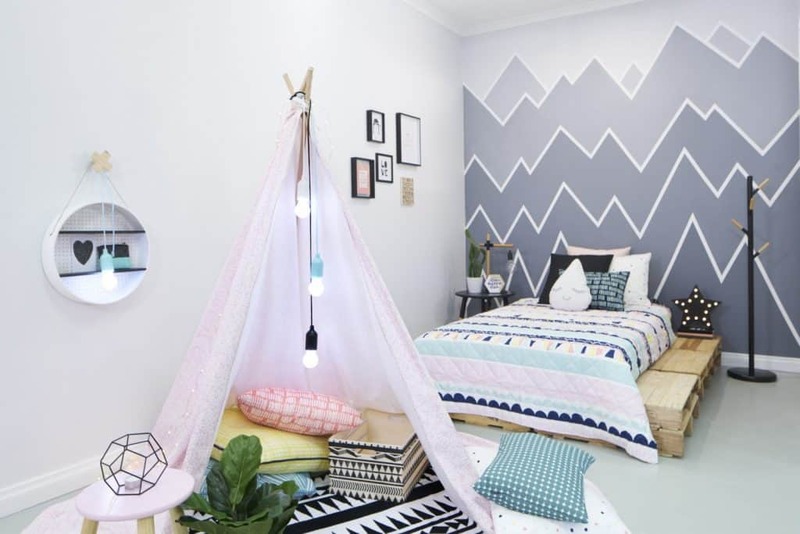 Include children in creating the decor for their bedroom taking cues from their favourite doona/duvet cover.Try some of these fun paint designs which are simple to recreate with paint and painter’s tape and create uniqueness in multi-generational homes. 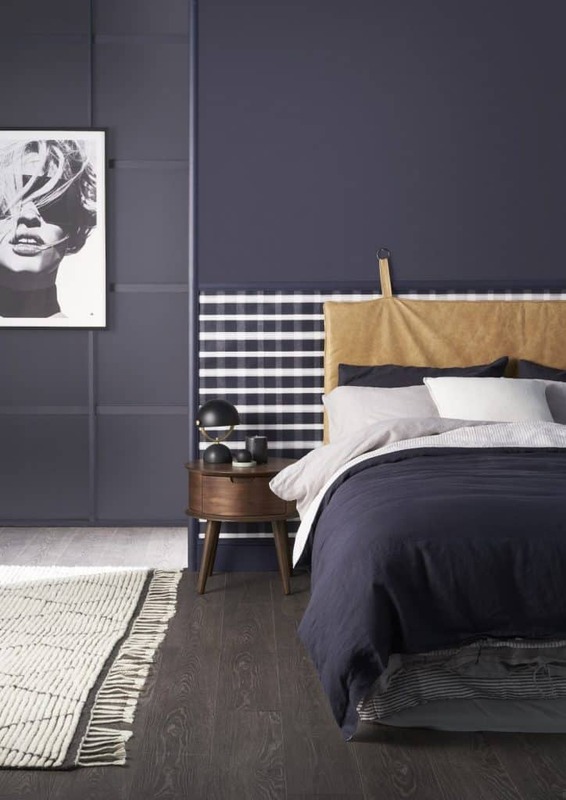 For teenagers try dark colours like Taubmans Blue Bayberry, Elegant Evening, or Private Jet with bold furniture. Twenty-somethings will like adult colours like Taubmans Tax Time, Mountain Stream, or Big White. Pull colours together with your choice of textiles such as bed linen, cushions, rugs, and accessories such as mirror trims and vases. For exciting bedroom decor option try Interior Secrets and Hunting for George. 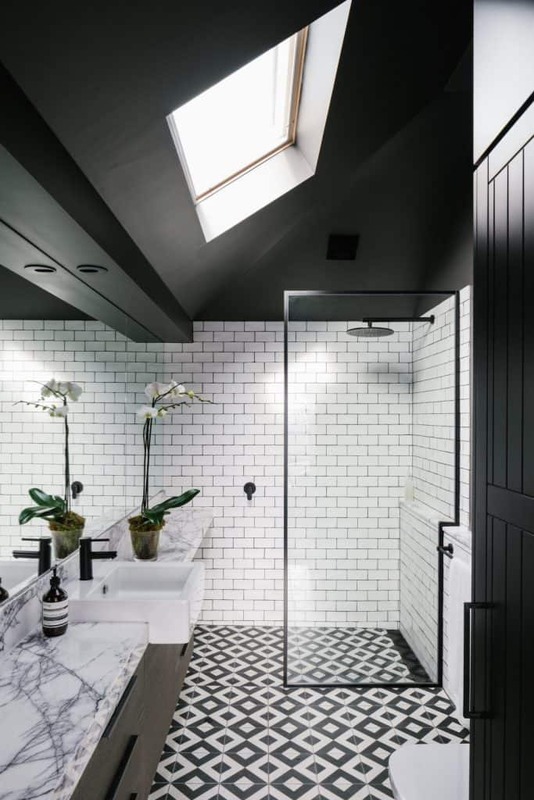 I’m a big fan of attic conversions as the design potential is amazing. Many people ignore the potential of their roof space yet it can result in being the most favoured area of the house in multi-generational homes. And it often covers the whole footprint of the home, especially in older homes with generous roof pitches. As a parent’s retreat or living room, don’t underestimate the power of the attic. An open plan bedroom with a walk-in and open-concept bathroom is a luxurious private space. usually accessible only by one door from the stairs, an attic bedroom can also luxuriate with natural light from skylights slanted along the roof line. Perfection. 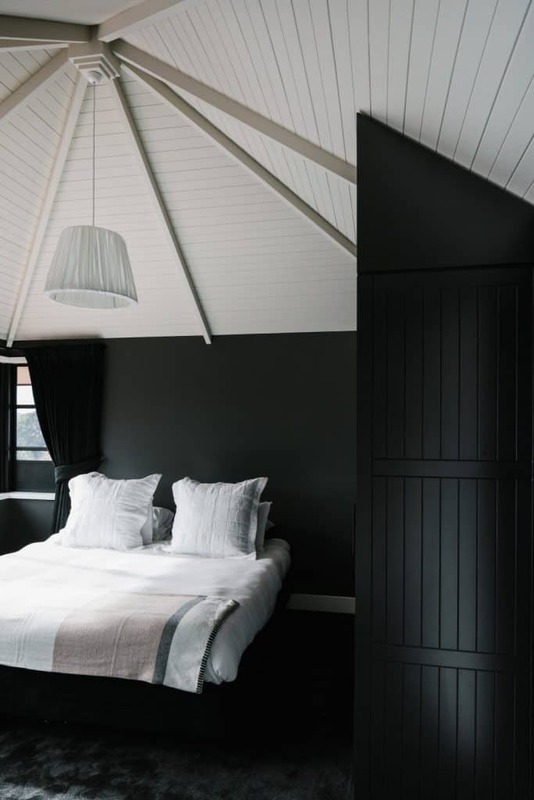 Colour Scheme: With natural light spilling into an attic space, you can choose a bold dark tone such as Taubmans Knight Grey or Taubmans Colour of The Year 2018, Black Flame. This conversion from the Attic Group shows how it can be done beautifully. Mixing old and new is the perfect way to create a feature of your attic conversion. 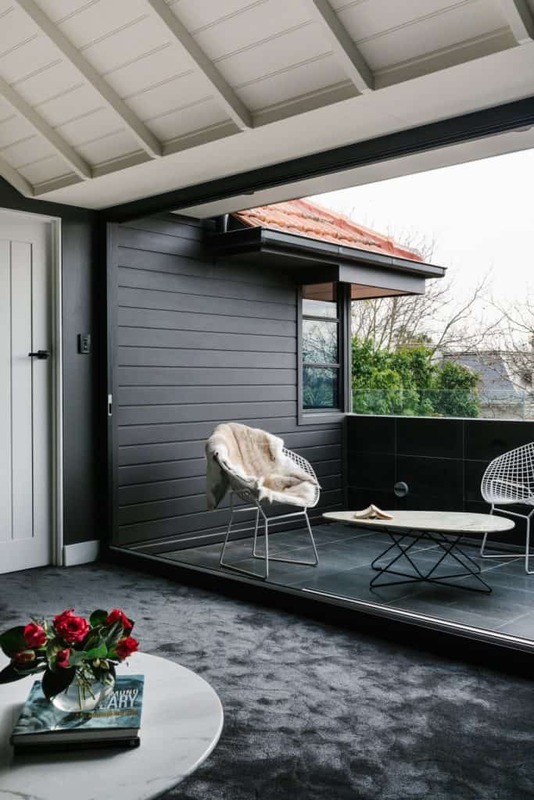 Modern, black window frames give a sense of contemporary architecture to this period home, while using Taubmans Chasm on the exterior walls connecting to the window makes it almost disappear into the roof line, letting the glass and the reflections be the hero. For cohesive bedroom and open-concept bathroom decor try Bed Bath ‘n Table. A garage conversion isn’t about the perfect space; it’s about your OWN space. Ensure exterior colours match the existing home but ‘go to town’ to create your own private space for the interiors. 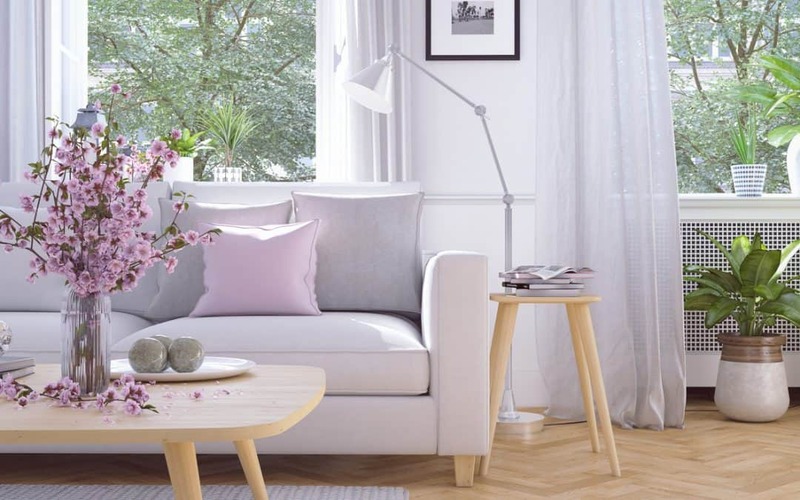 Create a Scandi-inspired oasis or blast the décor with colour – it’s your space, your choice. Colour Scheme: It’s not necessary for the interior colours to match the exterior. However doing double or half strength of a colour scheme gives a nice transition and a space its own feel. Colours like Taubmans Moon Man and Volcanic Ash in half, full or double strength with Miss Universe trims will create a mix of contrast and unity. When your garage conversion has doors to an outside entertaining area, you’ll love the outdoor furniture from Luxo Living. A pod or transportable is perfect for outdoor studios and extra living space. They don’t disrupt the roof line of the existing home and can be painted to maintain a similar colour scheme to the main house. 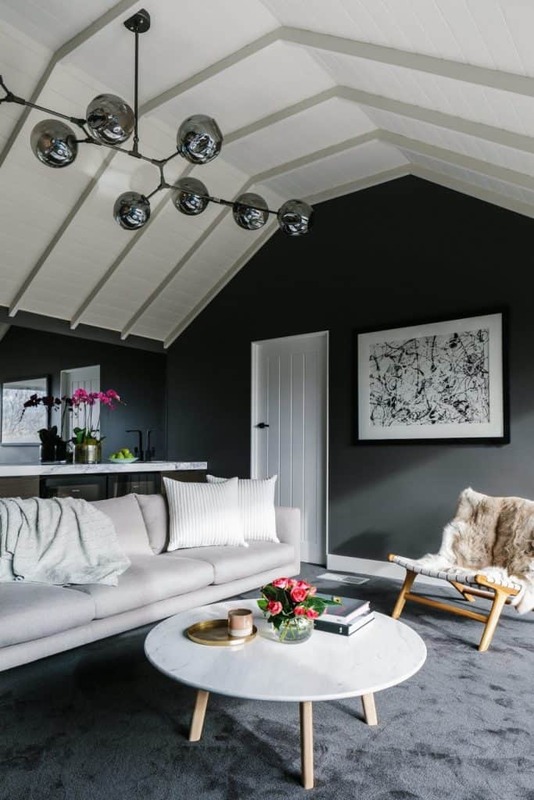 Colour Scheme: A light grey with an accent of white paired with limed floorboards and timber will provide a small space with a more expansive feel. Try Taubmans Quartz Grey, Ashen Mist, or Grey Gamut. Great news. You can now get professional interior design advice and inspiration from Adelaide’s premier creative designer in plush interiors. Please contact Plush Design Interiors for more information or see their website for reviews and interior design fees.